The days are getting shorter, the temperatures are dropping, and “Jingle Bells” is probably playing in every store you enter. Naturally, this can only mean that the holiday season is upon us once again. As a result, it’s time to prepare for your holiday marketing campaigns. This season offers a lot of opportunities for all businesses, big and small. If you can grab consumers’ attention with a unique campaign, you’ll be well on your way to pulling in additional revenue. A smart place to start is to look at what has worked for other brands, to find inspiration that you can use in your own marketing efforts. In this article, we’ll take a look back at some of our favorite holiday marketing campaigns from seasons past. We’ll discuss their history, why they were so successful, and how you can incorporate them in your holiday marketing strategy. Let’s jump right in! We’re going to start with a true classic of online holiday marketing. Google’s Santa Tracker has been going strong since 2004. During this time, it has enabled users to follow Santa Claus on his worldwide gift-giving journey every Christmas. The Santa Tracker campaign initially started as a simple way to visualize Santa’s journey via Google Earth (or Keyhole Earth Viewer, as it was called then). However, it has since evolved in numerous ways. For instance, the site has expanded to show information about the cities Santa visits, offer ‘live updates’ directly from the sleigh, and much more. 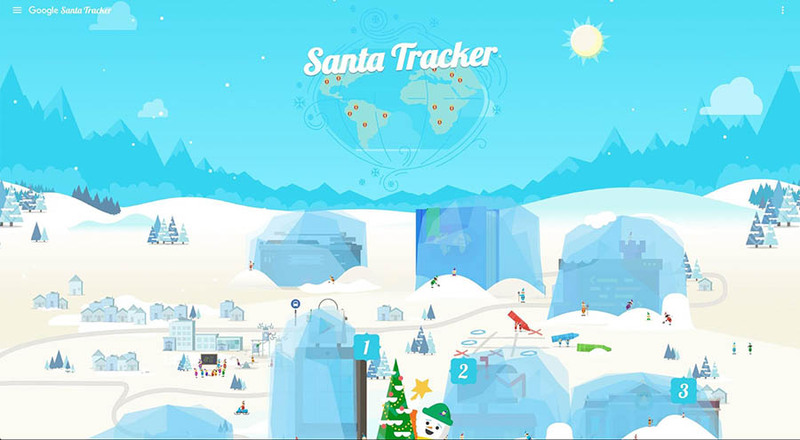 With Santa Tracker, Google manages to market its map service in a way that is both fun and interactive. The key lesson to take away from the campaign is that it works across multiple audience segments, appealing equally to young children and adults. By combining mythology and technology in a quirky way, Google managed to create a new spin on an age-old story and make its brand synonymous with the tradition itself at the same time. Next up, this is another interactive and playful campaign that appeals to kids and adults alike. Elf Yourself is a recurring campaign by Office Depot, which lets users create elves based on pictures of themselves (or other people). Since 2006, users have created over one billion elves using the site and app. In recent years, the Elf Yourself app has been updated with new features, such as Augmented Reality (AR) and the ability to print your elf as a seasonal greeting card. Users can also share their creations on social media, along with the marketing hashtag #ElfYourself. This is an example of how a holiday campaign can be used to grow brand awareness, rather than explicitly aiming to increase conversions or sales. By providing something fun and engaging for your users to play with, you can get the word out about your business, without overtly promoting your products or services. In a sense, every holiday season is a journey. 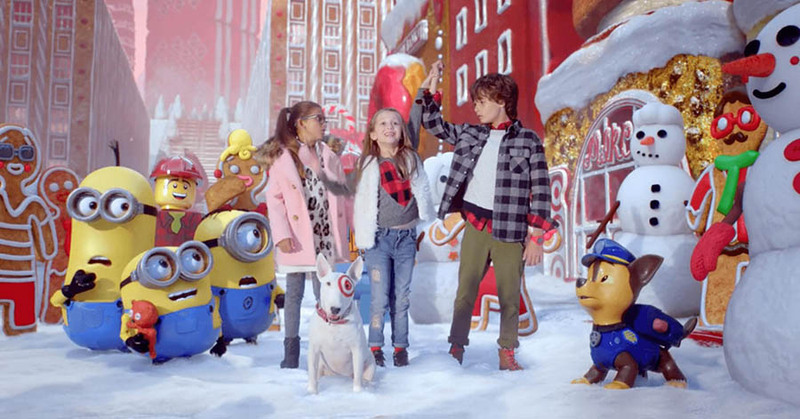 At least, it is if you believe Target and its 2015 campaign ‘The Holiday Odyssey.’ This campaign’s most visible element was a series of short video clips, which included cameos from the Minions, Barbie, Star Wars characters, and even the great Neil Patrick Harris. However, these storytelling videos only represented one aspect of the campaign, which also made use of multiple channels. As well as a dedicated website and promotion across its social media platforms, Target also took the ‘Odyssey’ into its physical stores. By doing this, Target managed to create a complete synergy across multiple platforms, something that’s ideal for businesses with a wide audience. This is naturally difficult to do if you don’t have the reach and budget of a major corporation, but it does highlight the importance of leveraging multiple channels in your own marketing. You might not be able to afford to feature NPH in your advertisements, but you can still use your online presence and physical stores in conjunction, to create an all-encompassing campaign that appeals equally to the various segments of your audience. Watching a man silently drink whiskey next to a crackling fireplace for 45 minutes might not sound very appealing at first. However, if that man is actor and comedian Nick Offerman, you’ve got a viral marketing sensation on your hands. 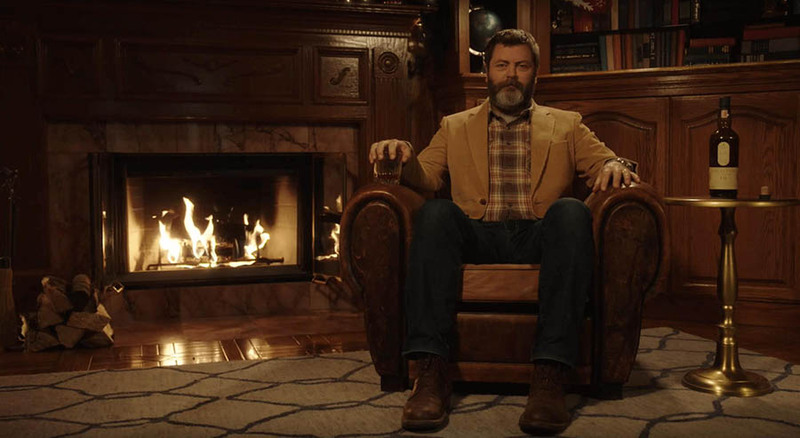 That’s what Lagavulin did when it hired Offerman to create a parody of the classic yule log videos that were popular in 2015 (and still are). Since then, the original video has been watched over 3 million times. Thanks to popular demand, Lagavulin has even put out an extended 10-hour version. This campaign is a masterclass in how to use a video to create a conversation starter. First, it’s a perfect fit with Offerman’s existing public persona, and ties into his most famous role as Ron Swanson on TV show Parks & Recreation, a character who famously loved Lagavulin. However, it’s also an eminently shareable clip in its own right. It’s fun, attention-grabbing, and actually works quite well as a non-ironic yule log video. Considering the minimal resources required to pull this off, it’s a perfect example of how a simple idea can have a huge payoff if it connects with your audience. In a previous article, we discussed Starbucks’ penchant for brand management on its official company blog. To no one’s surprise, it turns out that the company is just as proficient at promoting its brand during the holiday season. 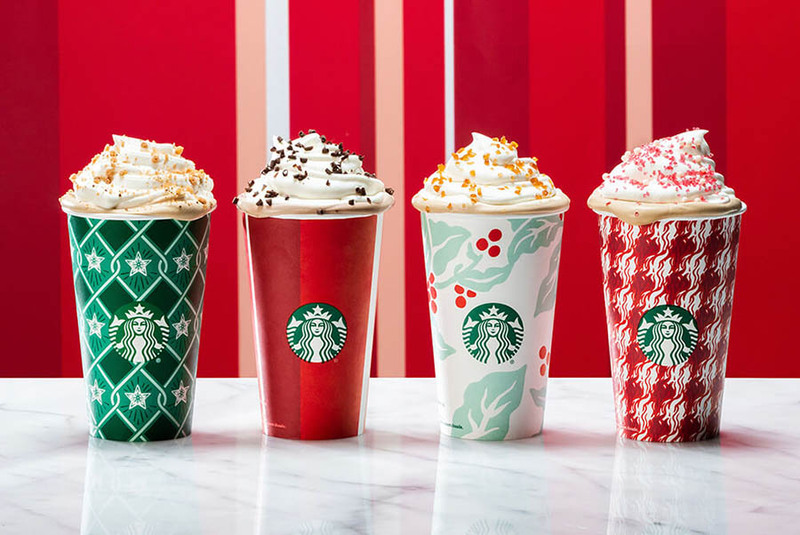 You’ve most likely seen its iconic holiday cup designs yourself, as they were introduced all the way back in 1997. Since then, the company has featured new festive designs every year. Somewhat infamously, these cups were a point of controversy in 2015, when a plain red variety was accused of not being ‘Christmassy’ enough. Despite this setback, the reusable red cup design has become iconic, to the point where independent websites have sprung up that feature a countdown to its annual re-release. The lesson here is that a stylish and cohesive brand identity can be an extremely powerful tool. This campaign also shows that it’s possible to create unique traditions that are tied to your brand, then encourage your audience to look forward to them each year. Black Friday is widely regarded as the beginning of the holiday shopping season, as well as one of the busiest retail days around the world. Considering this fact, it was especially noteworthy when the outdoor retailer REI announced that it would not participate in the Black Friday rush of 2015, and would keep all its stores closed for the entire day. This was the start of the #OptOutside campaign, which has become a recurring event ever since. The goal was to get employees and customers to spend Black Friday enjoying the outdoors rather than shopping. After the initial success, the company has expanded the event to include a search engine that lets users around the world share their outdoor experiences using the campaign’s hashtag. 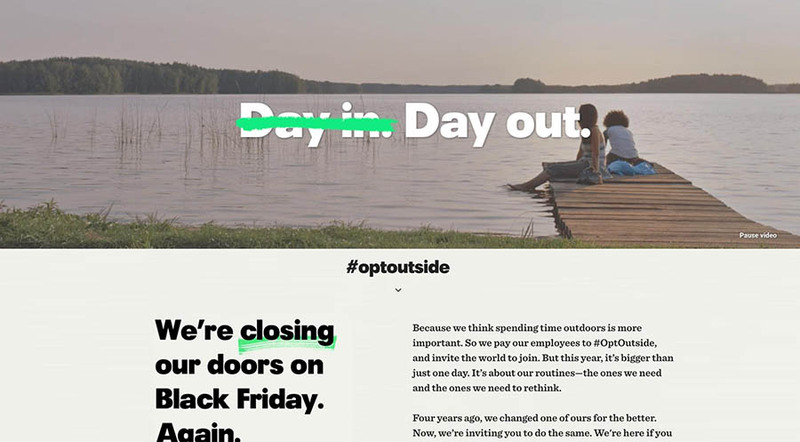 Not only is #OptOutside a terrific example of a company making a statement about the holidays, it’s also perfectly in line with its brand identity. After all, REI sells outdoor equipment, so it makes sense to encourage people to participate in outside activities even during the winter. This goes to show that you can start a meaningful conversation while also bringing attention to what your business does best. The clip shows a young boy appearing to avoid spending time with his family during the holidays. However, at the end (spoilers! ), it’s revealed that he was actually busy creating a heartwarming montage of family moments the whole time. The clip was positively received by many viewers and even went on to win an Emmy. 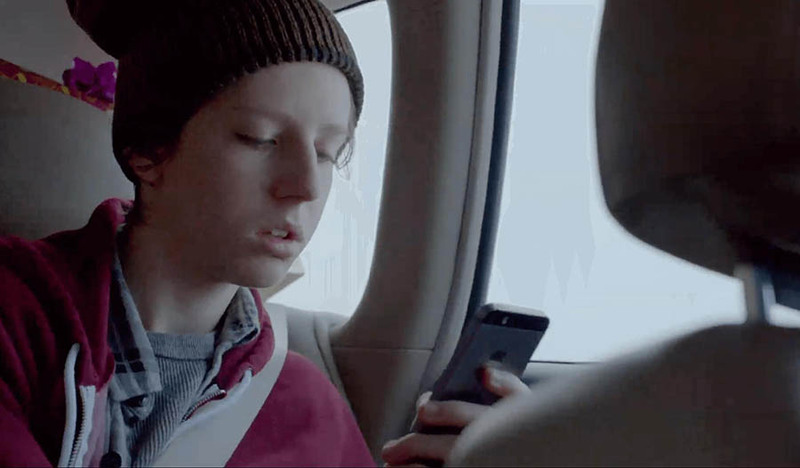 With this clip, Apple managed to insert its product into the sentimentality of the season in two clever ways. The film subverts the idea that phones are only used to avoid time with your family, while also demonstrating the actual capabilities of the latest iPhone at the same time. This is a ‘show, don’t tell’ approach to marketing a specific product that can be difficult to pull off, but very effective when done well. In case you’re not familiar with the concept, Secret Santa is a tradition where a group of people comes together to buy one gift for each person – everybody buys and gets a gift. However, each recipient is completely unaware of who their gift-giver is, which creates a fun sense of mystery. 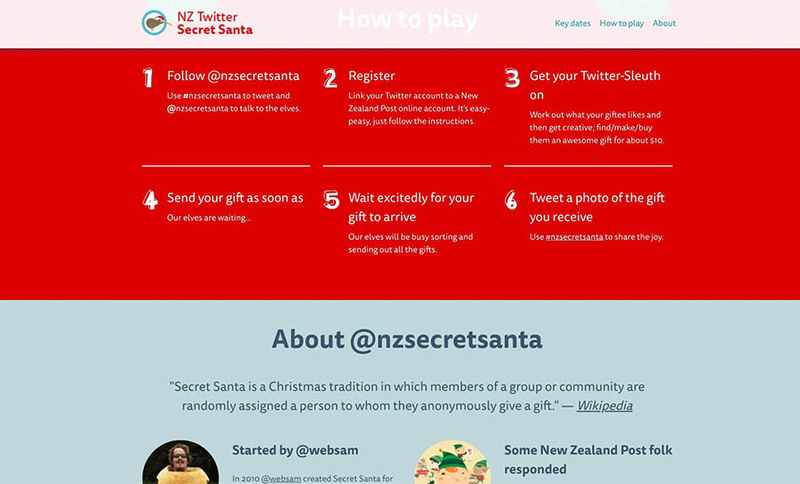 With its #NZSecretSanta event, the New Zealand Post aimed to blow this game up to a national level. Started in 2010 by Sam Elton-Waters, the initiative was a huge success, to the point that even the country’s prime minister took part. As the yearly event grew in scope, the New Zealand Post stepped in to help organize the gift-giving. Not only is this a heartwarming tradition, but it’s also a great example of how you can engage people using social media. An event that encourages people to have fun together, be thoughtful, and even give to charity helps to encourage participation and positive feelings towards your business. At this point, we’ve already mentioned the benefits of using video marketing to your advantage during the holidays. However, we’d be remiss if we didn’t also bring up H&M’s impressive ‘Come Together’ campaign. Directed by Wes Anderson, this short film features Adrien Brody as a conductor on a train that gets caught in a snowstorm. Since they’re stuck in place, the conductor and passengers decide to throw a Christmas party together. Shot in the filmmaker’s trademark style, the video is both quirky and heartwarming. It also aligns the brand with Anderson’s sense for fashion and whimsy. This is yet another way you can create a talking point, even if you don’t have any Academy Award-winning actors at your disposal. You can still use your brand videos to create a unique signature and style. Having a recognizable style is crucial during the busy holiday season, and is especially important for brands aimed at a modern, trend-conscious audience. Alt text: The home page for Macy’s Believe campaign. Think fast: What are the two most essential parts of Christmastime? If you answered “stuffing your face with food” and “decorating the tree,” we can’t blame you. However, we were specifically thinking of charity and gift-giving. Charity is an especially significant part of the holiday spirit, and it’s something Macy’s has made a cornerstone of its ‘Believe’ campaign. 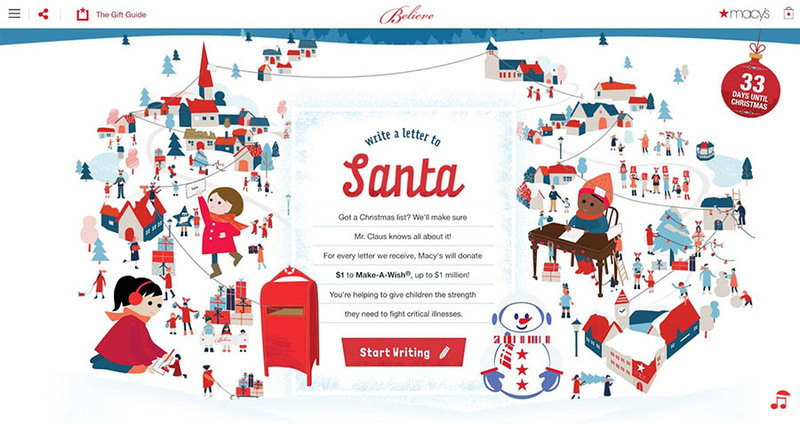 This campaign revolves around a site where users can write a letter to Santa with their Christmas wishes. For every letter posted, Macy’s donates $1 to the Make-a-Wish foundation. Not only does this charitable element align perfectly with the giving season, it also encourages visitors and customers to engage with the brand directly. This type of initiative lets you do a charitable deed, while also expressing your brand identity in a fun and memorable way. Most of the campaigns we’ve looked at have avoided being directly commercial in nature. Instead, many businesses choose to use the holiday season to manage and increase awareness of their brands, rather than actively pushing their products. However, Etsy manages to go another way, while also providing a useful service for its users. 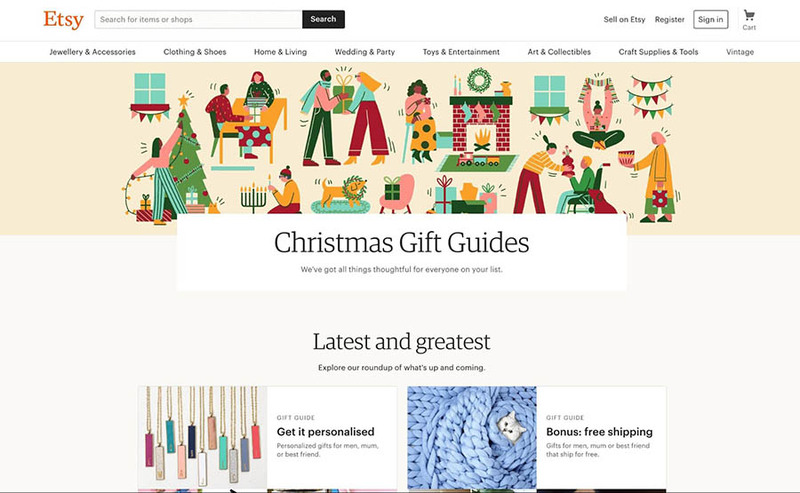 Instead of a big marketing push, this e-commerce site produces annual ‘Gift Guides.’ These guides help customers find the perfect presents to buy, based on different categories and styles. This is a creative way to drive additional sales, while still sticking with a holiday theme. It also helps funnel customers more effectively towards the products they’ll prefer. In fact, Etsy actually provides similar guides all year round, such as the Finds Under $30 guide. This means that returning customers will already be accustomed to searching for products in the same fashion. 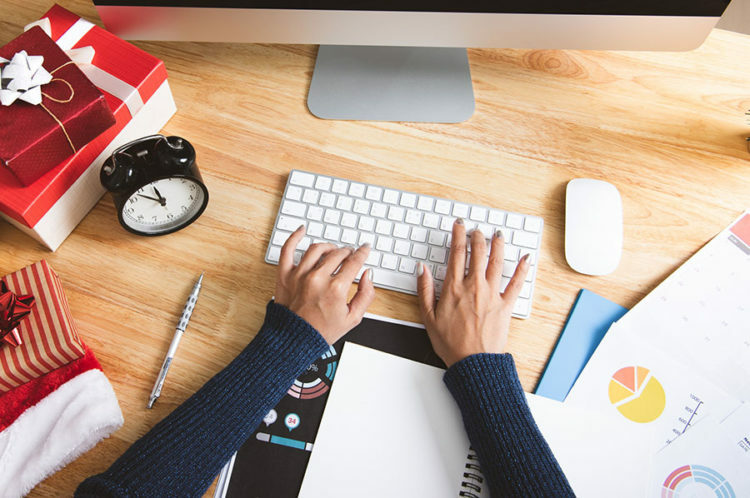 Whether or not you create dedicated guides, it’s key to ensure that your actual website makes it easy for users to find what they need quickly. After all, buying gifts for the holidays is often stressful. Anything you can do to make this process faster and easier is going to be well-appreciated by your customers. Finally, let’s end on a true classic, perhaps the most legendary and recognizable holiday campaign in media history. Coca-Cola has been crucial in defining how Christmas marketing looks, to the point where a prevalent myth claims that the company invented the modern image of Santa Claus. Even if that’s not true, Coca Cola’s recurring ‘Holidays Are Coming’ campaign is still legendary. In fact, many don’t consider the Christmas season truly started until they hear the familiar jingle on TV. 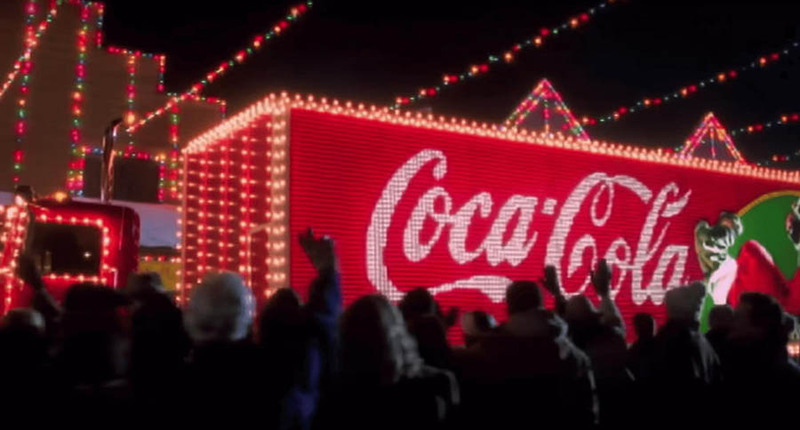 Even though it’s been a staple for over two decades, Coca-Cola has continued to expand and innovate its holiday marketing, while still keeping the core of its message clear and consistent. After all, the holidays are all about traditions, both big and small. Using nostalgia and tried-and-true concepts can help to create a sense of tradition around your brand. We’ve seen this notion applied in many of the campaigns on this list, where brands iterate on a successful idea over the years. However, nothing demonstrates the effect of this technique quite like Coca-Cola. If you can manage something similar for your own brand, albeit on a smaller scale, it can improve your business’ authority and capture your audience’s imagination. The holidays are not just about giving gifts, traveling, and spending time with family. They’re also a prime opportunity to market your business, and solidify your brand identity in the process. Do you have any questions about how to create a successful holiday marketing campaign? Find us on social media and let’s talk cheer!